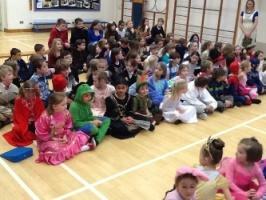 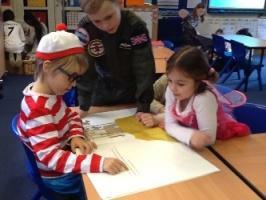 It was lovely to see so many of the children dressed in their various costumes to mark World Book Day today. 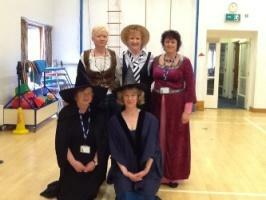 Once again parents and carers have worked hard on a range of exciting and attractive costumes. 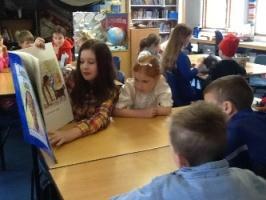 One of the activities arranged was paired reading sessions where children were mixed between different classes in order to spend time reading together. 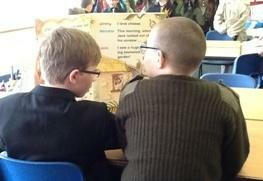 There was a great buzz around the school as the children really enjoyed this shared reading time together. 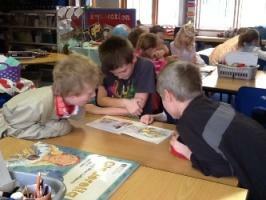 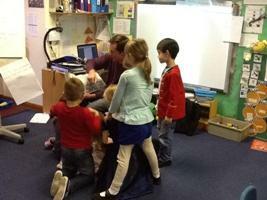 We were joined in the afternoon by some parents who read extracts from a book of their choice to a group of children.